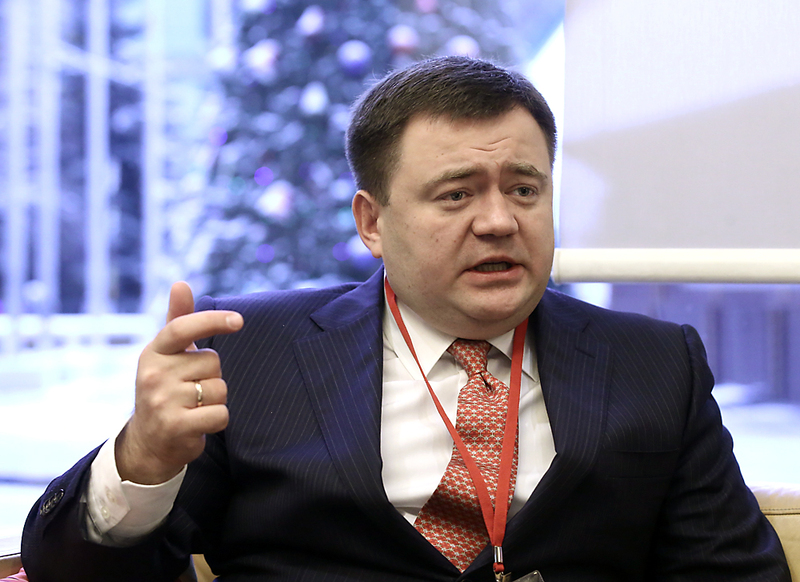 Pyotr Fradkov, CEO of the Russian Export Centre (REC). Pyotr Fradkov, CEO of the Russian Export Centre (REC), spoke in an interview with RIR on whether Russia could reduce its dependence on oil and what has recently been done to support the country's non-oil exports. RIR: How realistic is it to try and reduce the dependence of the Russian economy on the export of hydrocarbons? PF: Contrary to the popular belief that Russia exports mainly raw materials, statistics tell a different story. In 2015, the share of non-oil exports in the country’s total exports exceeded 50 percent. However, it is not quite correct to say that some industries have export potential, while others have not. Objectively, any products that are in demand in foreign markets have export potential. In some countries, products of agriculture are more relevant, in others, heavy engineering products, while third countries are interested in Russia's IT-programmes. If we talk about the experience of the REC, our main customers are representatives of industries such as engineering, agriculture and the IT-sector. But this does not mean that representatives of other sectors are less promising in terms of development of foreign trade relations. The Russian Export Centre was set up on the basis of the largest development institution in the country – Vnesheconombank – less than a year ago. For what is such an organization needed? The Russian Export Centre should consolidate export support mechanisms that have been created over the past two or three years by the efforts of the state. Before the founding of the REC, exporters, if desired, could receive many kinds of support, but they would have to apply to different institutions. Today, exporters need only to turn to the "single window" – the Russian Export Centre, which will identify their needs, help them draw up an action plan, will gather the necessary information, select markets and potential partners, as well as provide financial support, if needed. There are similar development institutions in many successful economies of the world. What kind of companies turn to you for help and how do you help them? To date, the REC has received more than 800 requests from exporting companies, while individual support plans were signed for 75 projects. Geography of the projects covers Asia, the CIS, Africa and South America. The work is as follows: the exporter applies to us. We carry out an initial analysis of information about the company and its capabilities, and then assign a client manager, who helps to identify priority areas for exports and necessary support measures at the same time. Then a support plan is developed, which involves specialists in certification and customs clearance, depending on the situation. We also involve the resources of trade missions – special organizations that operate abroad under the Economic Development Ministry. What support measures are usually needed by Russian companies? For small-sized businesses, non-financial support measures most relevant, such as assistance in obtaining the necessary certificates in a specific country, while large businesses most often require funding. In addition, large companies are concerned about political or commercial risks in the case. For example, if the exports go to a country with a complex political structure or unstable payment discipline. Key questions of small-sized businesses are the search for foreign partners, providing information on foreign markets, certification and adaptation of products. We help companies recover costs associated with registration of intellectual property in foreign markets. In which areas do Russian companies interested in entering foreign markets operate? Gradually, the structure of Russia's non-oil exports is becoming more complex, more diversified. Russia is actively exporting mineral fertilizers, machinery, agricultural products, jewellery, IT-programmes. There are some very interesting exporters among the REC's clients. For example, the company VIST has created an automated management system for the mining and hauling systems. Currently, this system is installed on the vehicles of the Belarusian BelAZ, and we are helping to deliver these vehicles to third countries. The company Metrovagonmash is engaged in the modernization of metro trains in Budapest, while the company Evraz supplies metal products to the Bulgarian market. What problems do Russian companies face most when entering foreign markets? One of the main problems is lack of information. So we decided to launch an educational project, which will give businessmen the answers to many practical questions: what procedures are needed to enter the foreign markets, what paperwork is needed and how to properly file it, how to select a market and how to find a foreign buyer, and so on. We are confident that the project will not only increase the level of knowledge of regional businessmen, but also motivate them for export activities. Moreover, the Russian government has developed a draft resolution, under which exporters will be compensated for the costs of the registration of goods in foreign markets. How serious is the problem of creating online platforms for sale of Russian products abroad? Work on the development of e-commerce is undoubtedly an integral part of our ongoing systemic work. The first steps in this direction have already been made. We signed an agreement with Chinese Internet platform JD.com on March 15, 2016. This will feature the REC's branded internet outlet with quality Russian goods. In future, we plan to select a Russian Internet operator who, using the technical capabilities of JD.com, will increase the dynamics of export deliveries of Russian goods through online tools. Entrepreneurs cite the lack of information about foreign markets as one of the main problems. How effective are business missions from this point of view? Business missions have long proven themselves as an effective business format in overseas markets. In March, the REC co-organized a large business mission to Turkmenistan, which was attended by more than 50 exporting companies, including the REC's partners such as automakers GAZ and KAMAZ, the agricultural machinery manufacturer Rostselmash and many others. The business mission resulted in the signing of six agreements on the further implementation of export projects in Turkmenistan. And in April, a business mission to Vietnam was organized under the auspices of the Russian Export Centre.